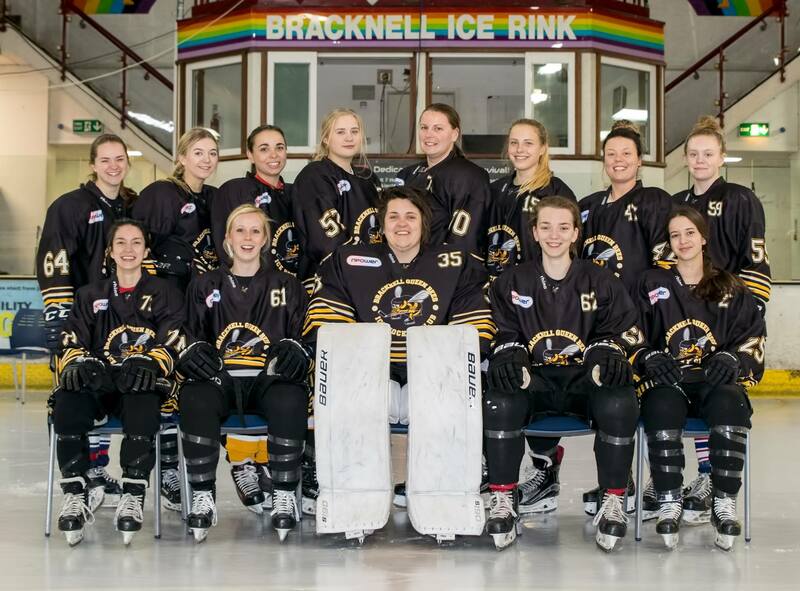 Bracknell Queen Bees arrow-rightCreated with Sketch. Tonight we secured the win against Guildford 8-1. Bracknell scored first then Guildford came back fighting and crashed the Bracknell net and got a goal after the third rebound. With a tight first period it ended in 2-1. Second period we picked up the pace and Guildford got a couple of penalties. Alice Lamb used this to her advantage and scored a slap shot from the blue line. Five minutes into the third period we had a breakaway but Guildford's Emery picked up a penalty which resulted in Ganney taking a penalty shot which crept in over the catcher (ask Ganney about the her thought on the goal). Relf took over for Bonathan for the last 14 minutes and instantly faced a breakaway from Hill and made a sweet save. Congrats to Lily for getting player of the game for her solid defending and team work.